It’s called “Jelly Bean.” But a 4.1 version of Android might also be called, at last, a version of Android musicians will find tasty. (Those last versions were a bit more of the disgusting variety from Bertie Bott’s Every Flavor Beans; this is a bit more Jelly Belly.) Photo (CC-BY-SA) Hermann Kaser. Android devices may, at last, get the kind of sound performance that makes music and audio apps satisfying to use. We’ve suffered through generations of the OS and hardware that were quite the opposite. But material, measurable changes to software, combined with more rigorous standards for hardware makers, could change all of that soon. And using the free, cross-platform libpd library, you can be ready now to take advantage of what’s coming. If you’re using an app that involves sound or music, the performance of the underlying OS and hardware will make a big difference. That’s doubly true if you’re using an app that simulates a musical instrument, because you’re more likely to notice how responsive it is in real-time. If the hardware, OS, and apps add too much overhead, you can experience symptoms like clicks and pops – or, in order to prevent those glitches, app developers might have to create big sound buffers that make the apps less responsive. The challenge for the Android platform, then, is to eliminate that overhead and get sound from the app to your ears as directly as possible. Low latency audio playback capability, via a new software mixer and other API improvements. Latency targets below 10 ms. For now, low-latency playback (which would in turn impact round-trip latency) refers only to the Samsung Galaxy Nexus; other devices should get similar performance enhancements, but there’s no official word yet on which, or when. Strict maximum latency requirements for third-party vendors at some time in the future. Enhanced OS features, too: USB audio device support, multichannel audio (including via HDMI), recording features, and more. But let’s talk a bit about why this is important – in terms that are hopefully understandable whether you’re a developer or not. So, when we talk about “high performance audio,” we really mean something for anyone using sound in apps. It’s easy to understand why it’s important. It’s just hard to do from an engineering standpoint. “Latency” isn’t one metric. Think of speed on a race car. Every little adjustment to the engine, gearing, weight, and aerodynamics has an impact. These results are cumulative. You can’t just get one factor right; you have to get all of them right. And that’s what made Android’s dismal audio performance complex to describe in the past. It has been a combination of factors – incomplete functionality in the developer API, a system mixer that added to latency, and device-specific issues being three major culprits. Apple has done an excellent job with this on iOS, which contributes to their near-complete dominance of mobile for music apps, and justifyably so. But that should not be taken to mean that it’s impossible to achieve low-latency audio performance when working with a variety of hardware vendors. The Windows (or Linux) PC is a great example – both of what works (extreme low latency across devices using an API like ASIO) and what doesn’t (general-purpose mixers that drive latencies past a tenth of a second). Back to the car metaphor, imagine you’re in a drag race. Would you want to hit the accelerator to the floor on a nice, deserted street? Or would you like to do it in the middle of the on ramp on the I-5 in downtown LA during rush hour? Android developers are clearly making progress on the software. The tougher challenge is likely to be coordinating with hardware vendors. On the Samsung Galaxy Nexus handset – a device over which Google has more control – they’ve already improved latency from 100 ms in “Ice Cream Sandwich” (4.0) to “about 12 ms” in “Jelly Bean” (4.1), and want to go oven better. 12 ms is usable; sub-10 ms could really attract sound developers to the platform. Note: I’d like to hear more about the Nexus 7 tablet, but for now, there has been no mention of sound performance on that hardware, which is made by Asus, not Samsung. The key variable here is when you’ll actually see devices reaching these targets in the field. Unfortunately, that may be more of a waiting game. Google says they want to “get to a point” at which they’re mandating maximum latency, but it’s unclear when that will be. Given the wildly-variable experience on current devices, my guess is that developers targeting Android will be pretty tough on minimum requirements. If at least sub-15 ms latencies become the norm on Jelly Bean devices, I could see making the 4.1 version of the OS a prerequisite, thus avoiding complaints from users when your app doesn’t behave as expected. 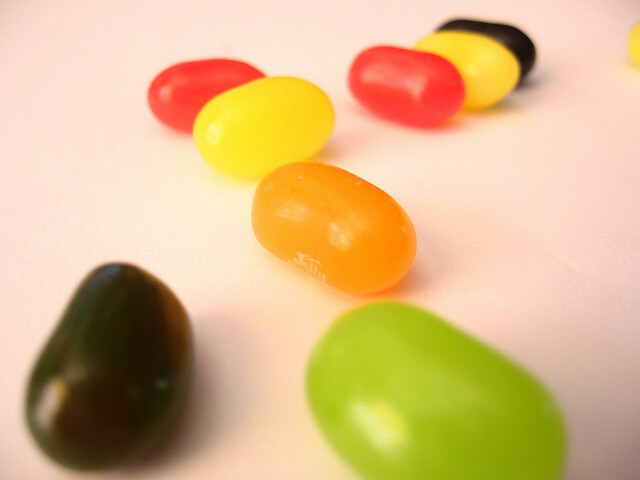 Jelly Bean in general promises some encouraging improvements: at last, we see a focus on hardware accessories, high-quality audio, and high-quality animation and high framerates. These are some of the things that make iOS so much fun to use and so satisfying to users and developers alike. Pundits have rightly echoed Apple in saying that software isn’t just about specs. But these aren’t just empty specs: they’re the concrete measurement of the qualities that people experience on a sensory level when using software. I’m actually equally enthusiastic about visual changes, but on the sound side, 4.1 delivers a lot of much-needed functionality. Out of the list, of course, what’s interesting to us musicians is really HDMI multichannel and USB audio. I’ll be looking into how USB audio is implemented, whether they do USB audio class support as on iOS, and – just for kicks – whether USB MIDI support is possible. 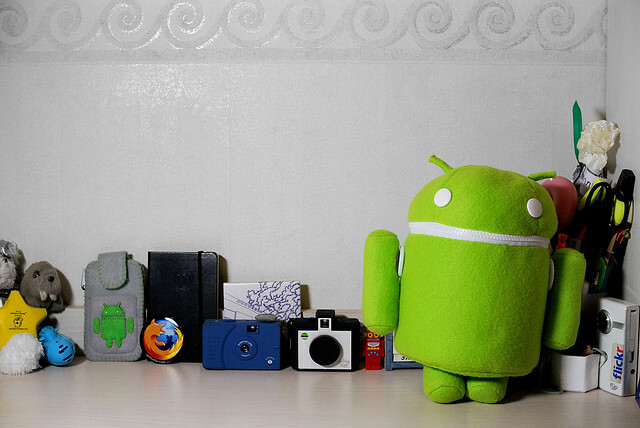 All of this is described in the Jelly Bean overview, though developers will want to go ahead and grab the SDK for further detail. Lest you think a bunch of Android fanboys just dreamed this happened, here’s the evidence from Google IO. Peter Brinkmann is the principle developer of libpd. For those of you just joining us, libpd is the free and open source embeddable version of Pure Data that now runs across desktop and mobile OSes. It actually is core, vanilla Pure Data, not a fork, but provides additional support around that core for making it easier to use Pd patches inside other apps. Peter has been working hard on OpenSL support – and has found reason to be excited about it coming. Peter notes that OpenSL is working better than standard Java audio output across all test devices. You can use it with the libpd library, but other Java, C, and Processing for Android developers should benefit, too. Well worth reading: Peter has a series on libpd and OpenSL ES. It shows a bit of the future of Android audio development, and also the future of cross-platform free software development for sound for Pd (and other platforms, too) well beyond Android. I just pushed a new branch of pd-for-android that supports either AudioTrack/AudioRecord for FroYo or earlier, or OpenSL ES for Gingerbread or later. I managed to square the circle and make the entire transition more or less transparent to developers. If you limit yourself to the part of the API that I discuss in my book (i.e., everything but the low-level audio processing methods), then your apps won’t need to be adjusted at all. As it happens, the ability to switch between audio engines could be relevant in future when using JACK, Core Audio, ASIO, and the like on other operating systems. And stay tuned here. We’ll keep bringing you audio and music news for users and developers alike, whatever the platform.